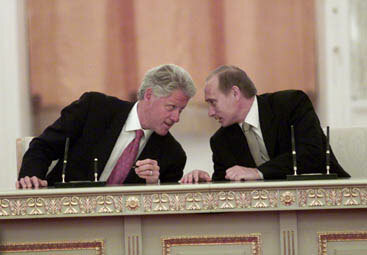 Russian President Vladimir Putin makes a comment to the President before the signing ceremony. 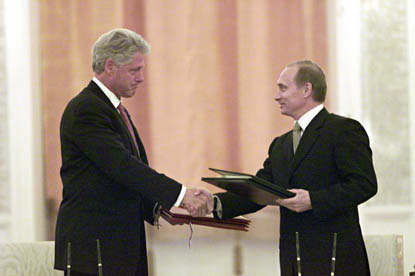 The President shakes hands with President Putin at the conclusion of the signing ceremony. 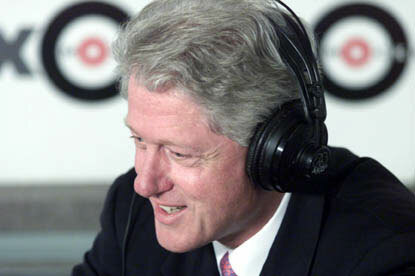 The President listens to a caller during an interview with Ekho Moskvy, a radio station in Moscow.